Cardfight Vanguard has quickly risen up the anime ranks and it is currently the third greatest show of all time. 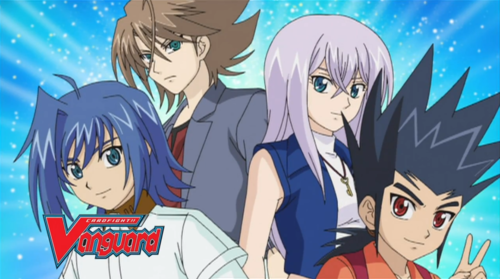 The series controversially decided to leave the old cast so that we could get a sequel series in the form of Cardfight Vanguard G. I have no doubt that it will be a great sequel, but I can’t help thinking that they’ve made a grave mistake. It’ll be extremely difficult to pass this series. If you’re looking for action and good visuals, you’ve definitely come to the right place! The first season is around 60-70 episodes and it starts the franchise off on a high note. The world is engrossed with a mysterious game called Cardfight Vanguard. Aichi Sendou is your average student who is a little on the timid side, but he’s always liked the game. A bully steals his card, but then gets it taken from the local pro so Aichi is forced to duel this kid. His name is Toshiki Kai and Aichi crushes him in the first episode. Of course, that means that Aichi is now on everyone’s radar! The show stays on a day by day schedule for a while until the plot really begins. Kai had a friend who goes by the name of Ren. Ren has now unlocked Psyqualia, which allows you to win any game of Cardfight. This is practically cheating so Aichi needs to put him in his place, but that will be difficult. He enters a lot of tournaments and gains experience, but defeating Ren and crushing his evil ambitions may get dangerous. Aichi is also getting tempted to join the dark side. Season 2 began the Asia Circuit and once again, life was back to normal. Everyone just had fun playing Vanguard and things seemed right with the world. This couldn’t last as Aichi woke up one day to find that his deck was erased from history. The whole clan had been wiped out or so it would seem. None of his friends have any memory of it. Aichi’s only chance is to win the VF circuit so that he could meet Takuto and force him to spill the beans. Takuto is suspect number one since he always has an evil grin, happens to be rich, and just looked downright sinister. Aichi teams up with Kamui and Misaki, but this isn’t quite the dream team that you would expect because Kai has joined up with Ren on another team. No worries, Ren’s a good guy now, but this will make Aichi’s journey a lot more difficult. Throw in new teams like I.T. Genius and Leon’s group and the journey will definitely get intense. The climax also involves a mysterious entity that sticks around for the next 90-100 episodes. Next up was the Link Joker arc and it’s easily the best arc in the entire franchise as well as being one of the best arcs in anime history. I would probably say that it is the second best arc of all time behind GX’s Yubel story. The theme song perfectly sums up the plot as Aichi appears with his friends and then they start to disappear. See, a mysterious foe known as Link Joker has appeared on the planet Cray (I’ll talk about that later) and it is eliminating all of the clans. The infection spreads to the human world and it takes over Takuto, using him to take over Kai. Kai is now going across the planet as he defeats many fighters. When a character loses to someone with Link Joker’s power, they are reversed. Being “reversed” means that the person now works for Link Joker and their dueling abilities are greatly strengthened. One by one, most of Aichi’s friends are corrupted by this force and he will have to finally win on his own. 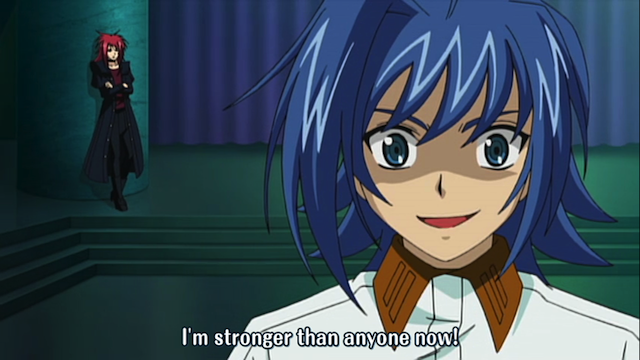 His friends have provided him with strength in the past and now Aichi will get to return the favor. Still, can he beat a foe who was able to beat Kai (Arc 1 Boss), Ren (Season 1 Boss), I.T. Genius, (Season 2 Sub Boss) and almost all of Aichi’s other friends? This will definitely be Aichi’s toughest challenge. It’s also the final season of this saga that is dubbed, but at least it got to end on a high note. Finally, the anime took a pretty big turn as the final arc is pretty different from the others. Aichi has disappeared..the main character is gone! Kai realizes that nobody else remembers who Aichi is (Sounds like season 2’s plot a little eh?) and that people only remember if he defeats them in a Cardfight. He recovers the memories of Misaki, Miwa, and Kamui. Before they can help the other friends, a group called the Quatre Knights appears and warns them not to interfere. The heroes are crushed by these new villains and they will need to get a lot stronger if they want to win. They will have to do this on their own since letting the other friends in on the action will put them in danger. Kai has been through a lot of tough duels, but this will be his toughest challenge yet. 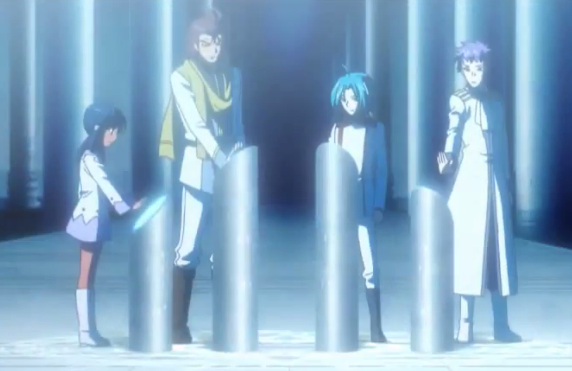 The question is…what happened to Aichi and why are these Quatre Knights able to use super powers? It’s time to find out! Before I go into the characters or why the show is so awesome or even about the planet Cray, let’s go through some of the more basic positives. One of them is the stunning animation. It really looks dynamite and it puts a lot of other current shows to shame. NarutocoughShippudencough. The colors are all very vibrant and I really like just about all of the character designs. You can bet that I won’t be forgetting Aichi or Kai anytime soon. Aichi’s new look for the final 2 episodes of the show is more than a little dicey, but it’s only 2 episodes and I liked his first 3-5 designs so I’d say that the show more than filled the bill there. Watching the monsters duke it out is great and they look very intimidating. Watching the Link Joker arc will let you see just how intense a cardfight can really get. It’s pretty amazing just how great everything looks. Naturally, this wouldn’t be a proper 9 star rating without an elite soundtrack right? I’m confident that it could have theoretically gotten a 9 anyway, but soundtracks are so pivotal for shows that I’m glad Cardfight brought us such a good one. The themes are great right from season 1 and we also get a signature theme for Link Joker in the third season. I can’t think of any new tunes from seasons 2 and 4, but I’m sure that they brought in something. The battle themes really make sense and some characters like Kamui have their own themes, which makes their battles feel more unique. The show also had 8 openings and they are all good. Some are definitely better than others and I don’t think that the first opening of Link Joker aged very well. That’s quickly countered by the other two Link Joker openings, which are downright amazing. Season 4’s second theme is pretty incredible as well. Once again, Cardfight manages to never let us down in any of the areas that really matter. All right, let’s take a look at the cast. Aichi Sendou is the main character and he definitely gets a lot of character development as the series progresses. He goes from being a total rookie to being one of the most respected and talented individuals to ever play Cardfight Vanguard. His confidence also goes up through the series and we see him become very heroic and noble once the Link Joker arc occurs. He’s essentially the perfect main character and he’s basically flawless. Aichi can be a little naive as he believes that anyone who plays the game must be a good person deep down, but at least he always tries to see the best in everyone. His role in season 4 is controversial to say the least, but I’ll discuss that later on. All in all, it’s really tough for a lead to pass Aichi and he’ll forever be known as one of the elite characters. Toshiki Kai is the rival of the series and he eventually becomes the main character for the final season. It’s a pretty big step up since it’s rare for the rival to steal the spotlight from the lead. He starts out as a loner who is obsessed with being the best player in the world, but through his own strength. He doesn’t wasn’t Psyqualia or any shortcuts to get more power. He has a brilliant speech in his two part battle against Takuto, but the ending gets a little dicey for him. His character development is much like Sasuke’s, but you could argue that it’s a little more emotional. Kai’s easily my favorite character in the series and he does a good job of playing the rival role. He maybe gets a little too into the friendship angle in season 4, but he more than makes up for this once he duels the opponents. He is easily one of the best rivals of all time. Misaki started out as the senior member of Aichi’s little group. Kai was the mean loner, Aichi was the heroic rookie, and Kamui was the inexperienced kid who always rushed in first. The dynamic definitely made the team feel complete. Unfortunately, Misaki started to get the shaft towards the end of the series. After the pre arc in season 3, she only got a few duels and she didn’t even get to win any of them in season 4. She definitely ended on a relatively low note. Her dueling abilities never seemed to be very impressive as her skills seemed to halt after the VF circuit. It’s entirely possible that Kamui and Naoki surpassed her. She’s a good ally to have on the team and her strategic style of playing the game was unique. Misaki may not have had much to do at the end, but she’s probably one of the best main Cardfighting heroines that we’ve seen so far. Kamui rounds out Team Q4. You could say that he’s the lucky member as he gets to be a main character for the sequel series as well as this one. He does get phased out during season 3 in favor or Naoki, but he still gets a mini arc there, which isn’t bad. His hot headed personality definitely makes him a fun character to root for. Unfortunately, he does have a subplot where he has fallen into romance with one girl while another tries to divert his attention to her. That subplot I definitely could have done without and it never goes anywhere so it really was pointless in the end. Kamui may not always have the skills to back up his tough talk, but he’s definitely an exceptional fighter in his own right. He was one of the few characters to get his own theme, which is pretty impressive. Ren is the main villain of season 1 and he may remind you of Creed from Black Cat, at least his attire. He was corrupted by the abilities granted to him by Psyqualia and he will use these new talents to take over the world. This skill has allowed him to surpass even the great Toshiki Kai so you can imagine why he is so feared at this point. In season 2, he becomes more of a rival. He interacts with Aichi, but he’s more of a rival/friend to Kai as they used to be when they were kids. Perhaps to make up for his evil ways, Ren is now extremely polite and nice. His character definitely did a complete 180 to how he was before the Psyqualia. That’s how he stays until the series ends. Ren still keeps his dominant Cardfighting abilities though and while he may not be stronger than Kai anymore, they are certainly at the same level and continue to pass each other. Leon has a pretty sad history and it resulted in him going with a dark power to survive this ordeal. He makes for a pretty climactic boss in season 2 and his skills are to be feared. After that, he helps out a lot in the climax of season 3 and he even trains the heroes in the final season. He’s a rival figure like Ren and I would say that this mainly applies to Aichi this time. Leon rarely interacts with Kai and they don’t even get to fight in season 3. That would have been great, but it’s safe to say that Leon was outmatched. I consider Leon to be a little weaker than Ren and it was cool to see Leon face off against his future self. There are some plot elements that makes this a little dicey, but it was a daring strategy that was fun to see. It shows that you always have to duel with your best effort since the future is now. Leon’s wind gimmick is also a pretty good one as it never gets annoying or too obvious. Kourin is the main member of Ultra Rare as she certainly appears a lot more than the other two members. She is a mysterious figure who arrives to challenge the heroes randomly during the first 2 seasons. She works for a mysterious man named Takuto and she is also a master Vanguard player even though she is supposed to be a pop idol who shouldn’t even know much about the game. She eventually rises up to become a main character during season 3 and a lot of twists start to occur. Kourin definitely gets one of the saddest conclusions to a character arc from anyone in the show. Things just don’t end on a happy note for her and it can be tough on her fans. She was a good character from start to finish, which is why it’s regrettable that she couldn’t stick around. Her final deck is very dangerous and even Kai has a lot of trouble with it. Naoki goes from being a character who missed the first 2 seasons to ultimately being one of the most important supporting characters. His role is probably the most important aside from Kai once he is introduced. He just started playing the game so he is a rookie, but that doesn’t stop him from challenging pros like Kai and Aichi. He improves at a rapid pace as he duels the other opponents and he’s a serious contender for world tournaments by the end. He’s more of a hot head than Kamui and he used to be known as a bit of a delinquent so he definitely doesn’t back down from the villains. He does a good job of standing up to his opponents and his confidence never wavers. His deck may not be as flashy as some of the other characters, but he gets the job done. While his appearance does start to throw Kamui and Misaki out of the show, it’s hard not to like him. The show did a good job of making him likable so quickly considering that he entered the show pretty late. Shingo is another new character who debuted alongside Naoki and he’s not even close to as talented as Naoki. He loves reading about Vanguard, but that doesn’t always translate well into pure skill. You could say that he is more of a beginner at this point and even by the end he is not a serious threat to any of the villains. He continues to insist that he is a better cardfighter than Naoki, but nobody ever really buys that. His dedication to the game is impressive I suppose, but I definitely wouldn’t have minded if he had not been introduced. Shingo’s a good example of a supporting character who came in too late and didn’t end up becoming likable. Morikawa is one of Aichi’s pals from season 1 and he eventually becomes more of a guest star figure who pops up once in a while. He’s always very confident and it can be easy to root for him, but his obsession with Kourin definitely hurts any chance that he had of really being a likable character. It turns out that he is actually pretty good at the game when he doesn’t have to create a deck. (So he would fit in pretty well over in Buddyfight) but that’s more of a comedy gag than anything. He never gets any serious moments so he really is used as the comic relief of the show. Admirable, but he could have been better. At least having one cool moment or big fight would have been epic. Miwa has been Kai’s best friend for quite a while and he always helps the rival when he is in a pinch. Whenever Kai is in a pinch, Miwa is ready to step in and help. His duels are always full of passion and Miwa tends to bring a well rehearsed speech with him, but he is almost always doomed to be defeated. It’s too bad since he’s a likable character, but he rarely ever gets to win. I can’t think of a single high stakes duel where he was able to be the victor and that’s pretty sad. Nobody wants to lose all of the time and Miwa is shown to be a very good duelist, he just happens to always fight top tier opponents. Emi is Aichi’s sister and she’s a supporting character who appears quite a few times. She never gets a big moment where she has to face one of the villains or anything like that, but it’s good that she likes Vanguard. It’s possible that she could eventually get a big role in Cardfight G since she is probably a very good player by now. Likewise, Manager Shin is another character who is always around, but never gets to duel. He likes to crack jokes and keep the atmospheare light so that the heroes can bounce back a little easier after they are crushed in Cardfights. It would be good if he could at least fight a little though since he’s so far out of the loop that he can barely even give moral support. Rekka is one of the other members of Ultra Rare and while her role is not huge, it’s of a decent size. She gets a good amount of duels and she even becomes a temporary rival for Misaki. Her abilities are definitely potent even if her deck doesn’t appear to be very good. She’s always pretty cheerful and in that sense she’s similar to Ratie Curti. She does like to taunt her opponents once she’s safely in the lead though so it’s definitely not all nice when facing her. She makes for a good antagonist. Suiko is the third member of Ultra Rare and you’ll ultimately wonder what the point of her addition was. She mostly just trolls the other two members and she rarely ever gets to duel. She’s meant to be the mysterious member of the group, but since that plot ultimately doesn’t go anywhere, it just ends up feeling a little pointless. I definitely did not care for her character. Takuto is the leader of Ultra Rare and he’s a pretty sinister figure. He wants to help the Planet Cray so he’s always involving people in his plots. He actually erased the memories of the Ultra Rare members, which is how he brought them over to his side. It reminds you that this guy can’t be trusted and he’s definitely a villain. Takuto also doesn’t let Aichi know why the Royal Paladins were taken away and it’s definitely hard to forget that. When Takuto is taken over in season 3, it’s hard to feel bad for the guy. 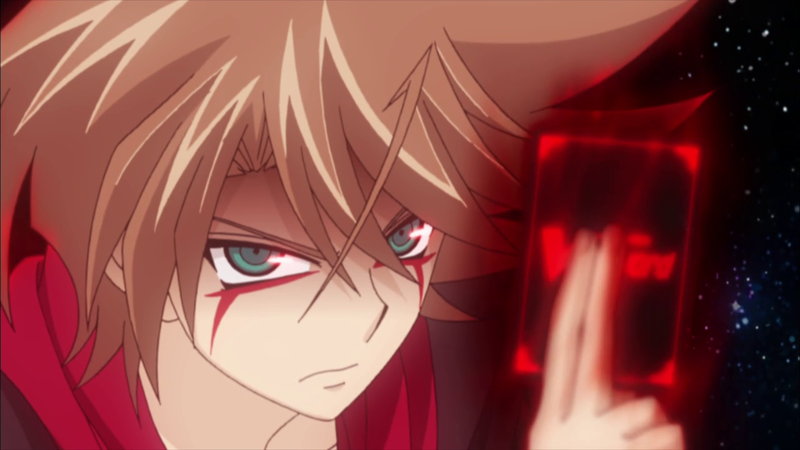 Takuto ends up being one of the strongest cardfighters to end up playing the game, but it doesn’t help his personality. As long as you remember to think of him as a villain, he’s not bad. He’s definitely pretty threatening and his evil voice is intense. It’s like a DBZ moment as he continues to power up. Tetsu is the muscle of Ren’s organization and he’s always ready for a good fight. His skills are definitely formidable and while he is not at Kai’s level, he can win some tournaments on his own. He grew up with Ren and Kai so it’s only natural that he inheiret some skills. He does whatever Ren wants and I think that he should have tried to stop his ally when Ren went off the deep end. Tetsu definitely isn’t perfect, but he’s a nice guy deep down, which is what counts. He’s certainly not evil and he makes sure not to drag innocents into Ren’s plans. Asuka is the third member of the team and she always wants to impress Ren with her circus themed deck. It doesn’t make for very entertaining duels, but Asuka is definitely a talented fighter. She goes up against Misaki a few times and she typically seems like the more impressive Vanguard player. She doesn’t really level up or switch decks though so she always appears to be at the same level. It’s a high level so that’s good, but it would be nice to see her get some development and a new deck to boot. Her infatuation with Ren can be a bit much, but she’s likable otherwise. Koutei is the leader of Team Caesar and he’s pretty great. He’s extremely optimistic and whenever he makes a speech, the theme song tends to play in the background. He uses a Mecha deck and it has really helped him through the years. He makes it to the final round almost every year and it’s just his bad luck that Ren is always around. It’s a bit of a running gag that he always loses the fights that matter, but he manages to stay really confident despite all this. He never lets anything get him down and he’s a shining beacon throughout the series. I definitely became a fan of his rather quickly and it’s always a thrill to see him duel. It’s no exaggeration to say that he’s one of the best characters in the series! Yuri is on Koutei’s team and she ends up being yet another rival for Misaki. Misaki ultimately ended up with 3 rivals, which is pretty impressive since some characters like Kamui never got to have a true rival. Yuri is the tough member of the group and while she is not as strong as Koutei, she was good enough to make it to the finals in the team tournament. Koutei always blew that opportunity since he simply cannot beat Ren so Yuri always did her part. She’s a pretty good character and her bond with the other members is a strong one. The third member is the one who doesn’t really have a point here. His name is Gai, but he is usually pushed around by Yuri and he’s actually not a very good duelist. You could say that he is basically just along for the ride….no wonder his role is so small eh? Gouki is the leader of Team Handsome and he is only a threat for a couple of episodes in the early part of season 1. He’s fairly weak, but he can be considered tough when you are just starting out in the world. You can compare him to Iruka from Naruto. Naruto probably couldn’t defeat Iruka when he was just starting out, but by the time he got to the Chunin Exams you could make the case that it could actually be a close fight. Gouki definitely helps Aichi improve his skills, but he doesn’t do much after that. He was never my favorite character so I wasn’t sad to see him go, but he was still pretty decent. Chris is the leader of team genius and he’s the only member who really matters. His two sidekicks never really get to do anything and while they talk tough, I was not impressed with them. Chris unlocks the power of Psyqualia, which greatly improves his game. While one of his partners is distracted with romance and the other one’s desire to be the best isn’t very strong, Chris is the capable leader of the group. He always shows up when there is trouble and he proves to be a tough obstacle when he is reversed. I never liked him as a character though because he is a little too full of himself and he doesn’t seem like he can back it up. He’s too inexperienced to compete with the other big leaguers like Kai, Leon, or Ren. He’s naturally still a pro, but he’s definitely not the best one. Gaillard is the (unofficial) leader of the Quatre Knights and his abilities are exceptional. Not only is he one of the best European fighters on the planet, but he has supernatural abilities that come from his ring. He has the ability to create blue fire and he can create his own environments for when he is cardfighting. The loser receives “judgment” which means that they suffer a severe burning. Gaillard can be pretty unreasonable at times, but he does everything in the name of justice and he believes that he is doing the right thing. He makes for a good rival to Kai in season 4 and it would be cool to see him appear again. Gaillard could very well be in the top 5 strongest characters in the series and it would be fun to see him fight someone like Ren or Leon. Neve is another member of the group and his powers involve thunder poles that zap his opponents. He may get to have the most impressive resume from the group since he never loses to anyone aside from Aichi Sendou. It’s all right to lose to the world champ so there’s definitely no shame there. Neve’s country is in the middle of a civil war so his circumstances are pretty dangerous. This has also helped him to close off his feelings for when he’s in the middle of a job and he always brings his A game to a cardfight. He’s certainly not as interesting as Gaillard, but he’s a great fighter. Serra is the only member who doesn’t have any heroic ambitions for what he does and let’s just say that his sob story is a little sinister. In his family everyone had to fight in order to survive with the loser being thrown out and losing his finances. Serra beat everyone, which is how he survived and he is a tough cardfighter. It’s hard to gauge just how tough he is, but his skills do seem to be worthy for that of a Quatre Knight’s. You’ll likely be rooting against him whenever the guy is on screen and he is certainly the least likable member of the team. Ratie Curti probably has the best backstory since she always liked donuts. When she first appears, you’ll probably be expecting her to troll the main characters before she beats them up, but she is just naturally happy. It can make losing to her all the more bitter as she’ll be having fun as you get stabbed by her vine powers. She’s doing what she needs too in order to save Planet Cray so she’s all right with taking down a few heroes. If they’re in her way, then it’s time for them to be removed. By the end of the show, she has learned more things and she will probably end up being a more likable character. Now, you’re probably wondering what the rules for Cardfight are right? It’s significantly different compared to Yugioh, which is good since it means that Cardfight was able to make it into the world on its own merits. On your turn, you are able to “ride” (summon) a unit of your choice as the vanguard. You must start at 0 and every turn you are able to level it up. You can have up to 3 monsters in the front row at once and then you can put 3 in the back to power up the front row units. Whenever you attack with your avatar (center monster) you can flip over a card in the deck. If it has a symbol on the top right hand corner, then it will give you some kind of bonus effect based on what color it is. You may not want to always summon all of the cards in your hand either since those are used to block attacks when it is your opponent’s turn. Level 1 cards can perfectly nullify any attack if you discard another one. Those are the basic rules of the game. More advanced techniques start to show themselves as the season goes on. You lose when you take 6 damage. There is a chance to not take a damage point when you flip over the card from your deck. Before putting it in the damage zone, check to see if it has a green chest on the top right. If it does, then you can recover one damage. You can also flip over 2 damage points to activate one of your counter blast’s. (A technique that a monster has) You don’t heal the 2 damage, but it’s still useful. A Limit Break requires you to flip 3 cards and it’s an even stronger ability. There are other abilities like riding the same monster on top of another one and using “Seek the Mate!” That’s the final ability used in the series and it’s definitely not the greatest one out there. The whole 4th season was about this, but I was never crazy about the addition. Basically, you can summon 2 monsters in the center circle instead of one, which makes for a better ability. So, it’s technically strong, but it’s just not as impressive as some of the other abilities. The writers do a good job of handling the victory speeches that the heroes make. Typically, a character wins when he makes a really heartwarming speech, but that is not always the case here. There are many times where the stakes are high and the main character makes a huge speech, (Sometimes even a 2 episode speech) but ultimately ends up losing the match. You’ll find yourself shocked at the outcome more than once and that’s definitely impressive. I think that this maybe goes a little too far in season 4 when the heroes manage to lose just about every fight, but it still ends up being pretty unexpected so I’ll give the writers some props there. By the end of the show, Aichi and Kai may be two of the greatest cardfighters on the planet, but the show wasn’t too cheesy and showed that the other characters are still pretty outclassed compared to the pros. I wanted Misaki and Kamui to win at least one match, but technically I suppose that they would be expected to lose such a fight. Cardfight Vanguard’s writing is very good and that comes in handy for the early part of every season. As with Yugioh GX, the show typically has a very light themed atmosphere that quickly grows darker during the climax each season. So, we know what to expect when a season starts and it’s easy to wish that the plot can start. Typically, the plot won’t begin for maybe even the first 15+ episodes so it can be a long wait. If the wrong writers were involved, it could be a chore to see the heroes tackle their filler opponents. Luckily, the pre arcs are still a lot of fun. There are no real stakes in the duel, but the actual duels are still entertaining enough that you can watch them with ease. Season 3’s start was probably the slowest as we had to get used to new characters like Naoki and Shingo while losing a fan favorite in the form of Kamui. It still did get better as it went along and it was fun to see the student council oppose the heroes. Season 1 and 2’s beginnings were also rather slow, but we got to see new characters and the heroes entered many tournaments. There are few shows that have as many tournaments as Cardfight and it’s always fun to see them enter these competitions. I’ve been a big fan of tournaments since before I even started watching anime and it’s a great way to develop the heroes while introducing potential rivals and enemies. 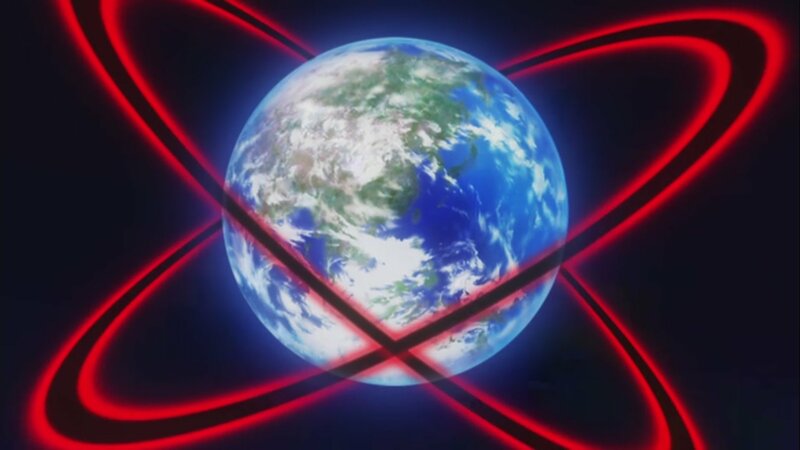 Cardfight Vanguard really did just about everything correctly in just about every area. It was able to introduce new main characters, which is always a risk and the progression of the main characters was rock solid. You can clearly see the development that they’ve had if you watch part of season 1 and then skip to season 4 or 3. You are able to grow up with the characters as you watch the show and it’s probably the most realistic cardfighting show that I’ve seen yet. (In a good way since realistic typically doesn’t translate into a positive thing) There is naturally a lot more to the show than can ever be covered in a review so that’s why you need to check it out to see everything for yourself. The big question is..does this match up to Yugioh? I actually do think that this show beats all of the Yugioh series aside from GX so that’s a pretty great start to the franchise. I do prefer Yugioh’s actual gameplay since it’s a lot deeper and the luck factor is lessened. That being said, Cardfight’s pacing is a lot faster because of the simplistic rules and battles can easily be finished in one episode even if it’s a long fight. 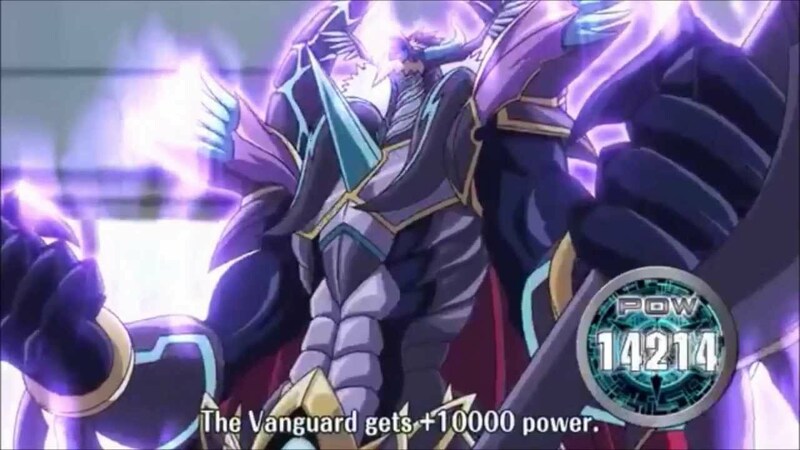 Since this is Cardfight’s first show, we should just count it as such and since it’s beating the classic Yugioh show, we can say that the Cardfight anime franchise has the lead at the moment. Yugioh is winning by sheer numbers, but let’s see how close it’ll be when both franchises have 5 shows. G is almost definitely going to lose to GX so we’ll need to see where Cardfight goes from there. Yugioh is likely not going to relax either as Arc V is still airing so the gap may never lessen. This means that Cardfight will likely never pass Yugioh, but at the same time, I don’t see any other card franchise ever passing Cardfight. We’ll have to see if Buddyfight ultimately gets to hold the third place spot or not. Overall, Cardfight Vanguard is one of the greatest shows of all time. It has a fun cast and the animation is excellent. The soundtrack is certainly worthy of such an all star title and you’ll be at the edge of your seat in each season. The climax of each arc never disappoints and watching the characters develop their skills and personality is part of the joy of watching this title. I recommend this to anyone that wants to watch a fun anime with a lot of action and excitement. At around 200 episodes, it makes for a pretty satisfying watch. This entry was posted in 9 Star TV Shows, Reviews, TV Show Reviews, TV Shows and tagged Aichi Sendou, Anime, Anime Review, Card Game, Cardfight Vanguard, Review, Toshiki Kai, Trading Cards, TV Show, TV Show Review by dreager1. Bookmark the permalink.